As far as I know, Christo and Dora's kids are all doing well. 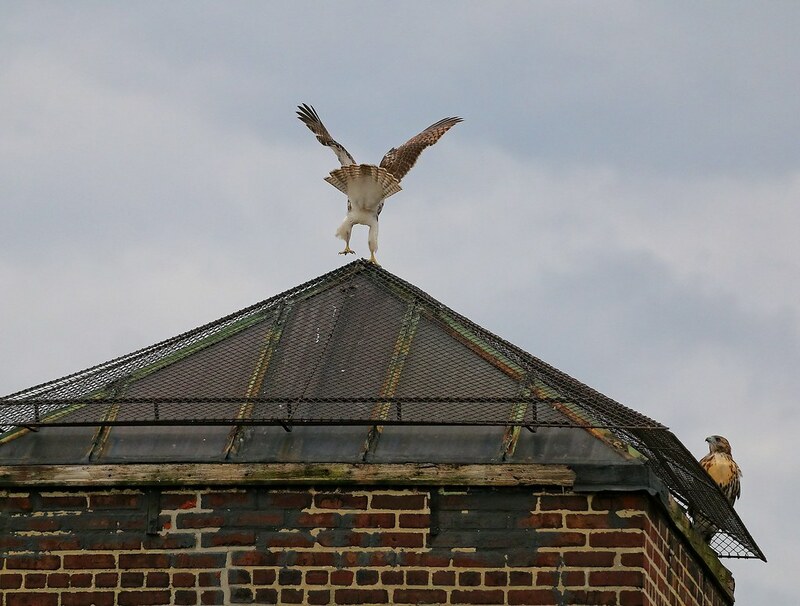 Since fledging the nest on Avenue A, they've stayed around Most Holy Redeemer church on 3rd Street, as well as the immediate area. 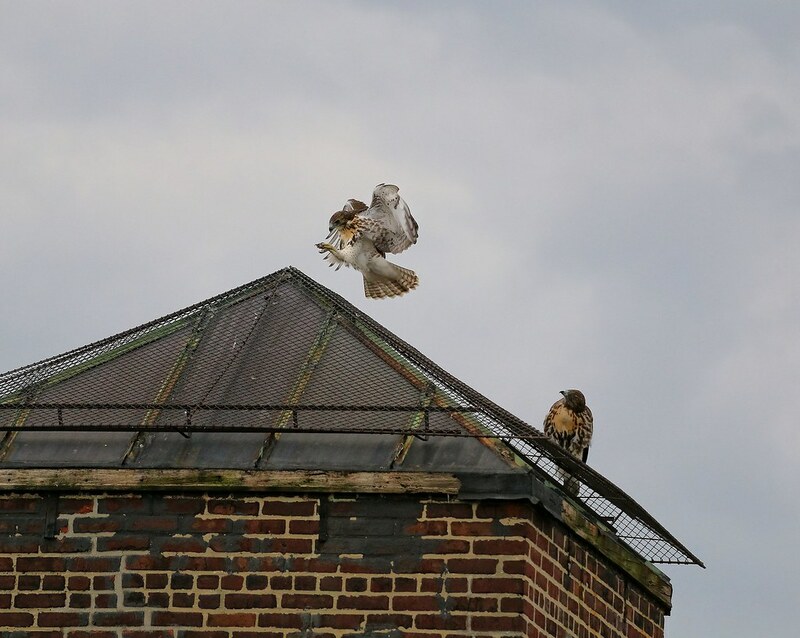 Dad Christo has been keeping the family together in order to feed them, but I'm hoping he takes the kids to Tompkins Square Park soon to teach them to hunt. 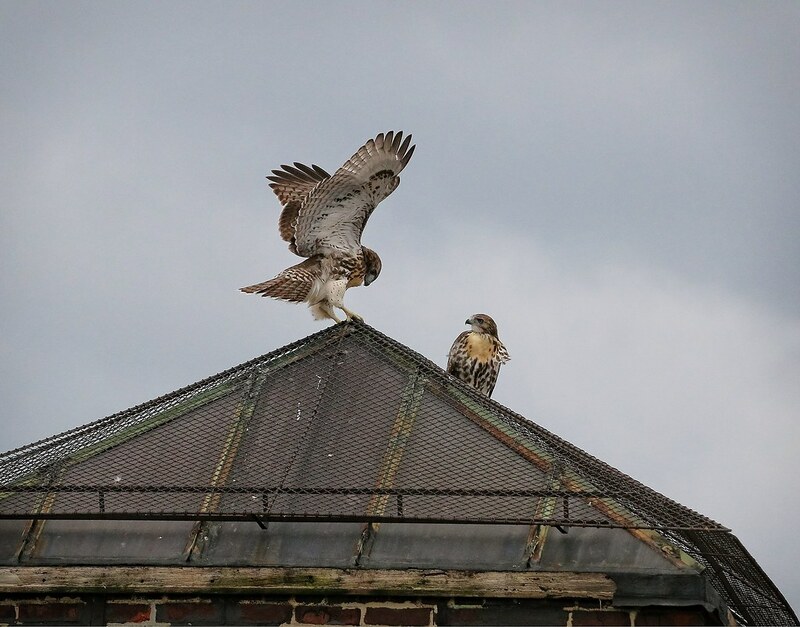 What I find interesting about these urban hawks is how they are more at home on rooftops than in trees. 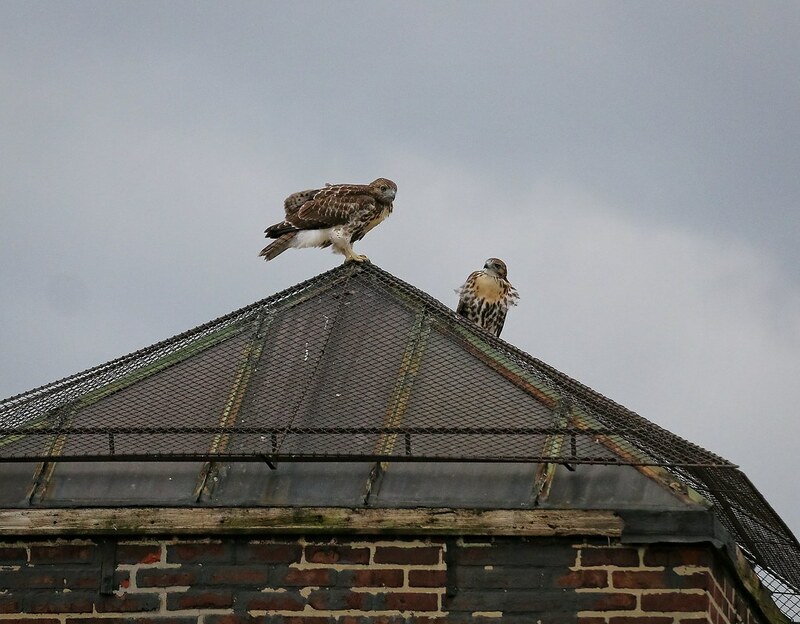 So far, I've only seen Fledgling #1 perch in a tree, and that is because it was deliberately put there by a person. As of yet, I haven't seen any of the three siblings voluntarily hanging out in a tree. By why sit in a boring old tree when the rooftops are so much fun? 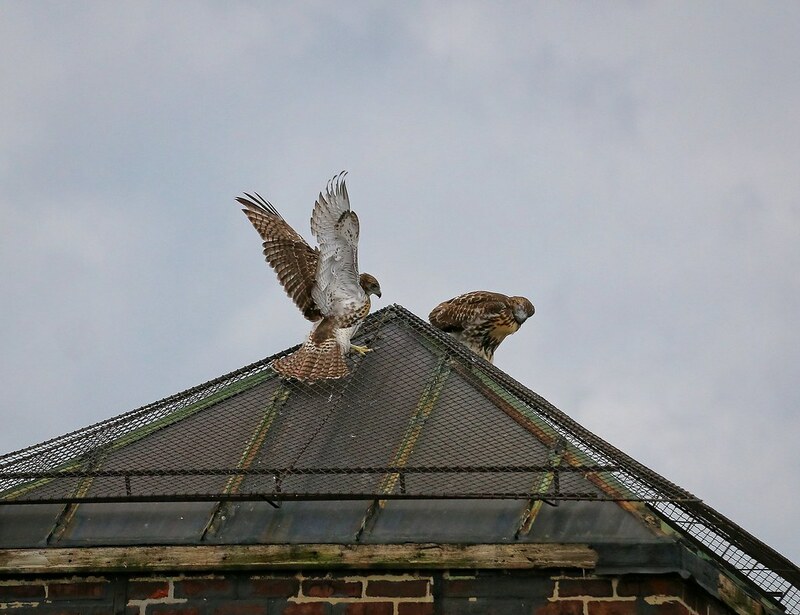 Here are Fledglings #2 and #3 (I don't know who is who) playing around on their favorite rooftop tower on 4th Street. 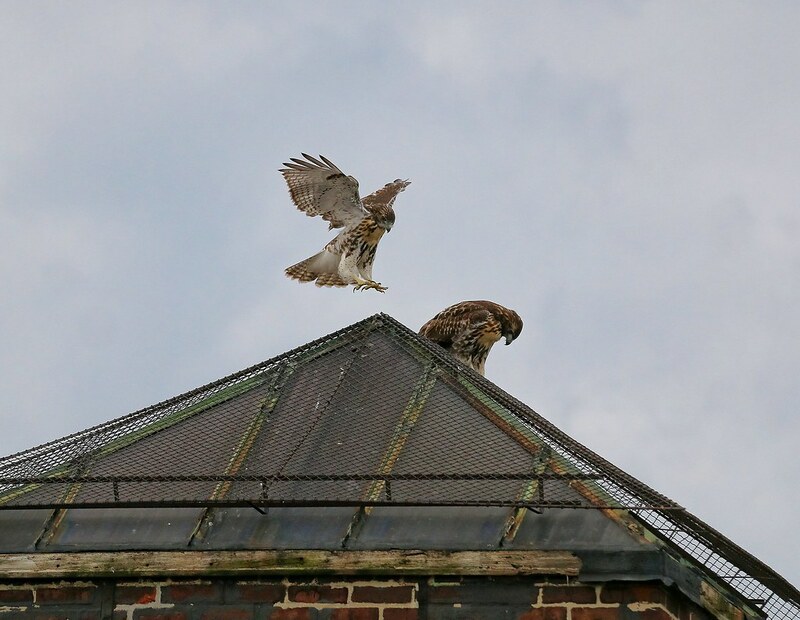 The Washington Square Park hawks, who are a bit older than the East Village hawks, are starting to explore trees and chase prey, so I'm hoping our hawks get the same idea.